Do you recurrently suffer from shoulder, neck, low back, headache pain? Are you unsure why this pain keeps coming back? The thoracic spine may be a key contributor to this! In the age of technology and increasingly sedentary lifestyles, thoracic stiffness and immobility seems to be commonplace across the population. So how does a lack of thoracic mobility then translate to my pain elsewhere? Well put simply, in order for these other areas to move and function as they should, the thoracic spine also needs to be moving freely. The thoracic region of the spine is the longest segment of the vertebral column. 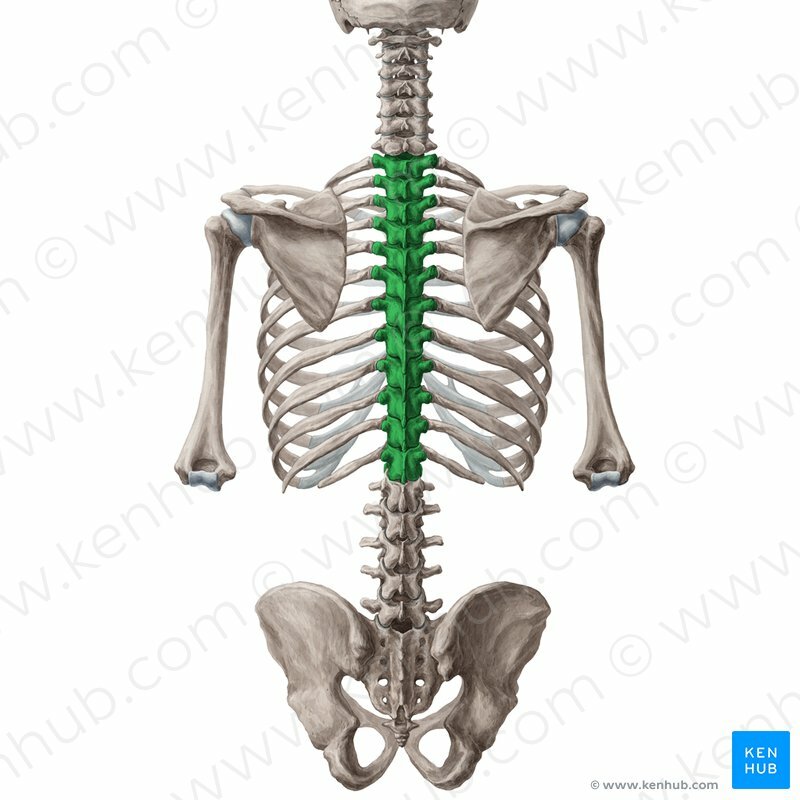 It consists of 12 separate vertebrae and acts as a transition between the cervical and lumbar spine. The thoracic spine differs from these regions as the thoracic vertebrae provide attachments for the ribs, which influences mobility and stability of this region. 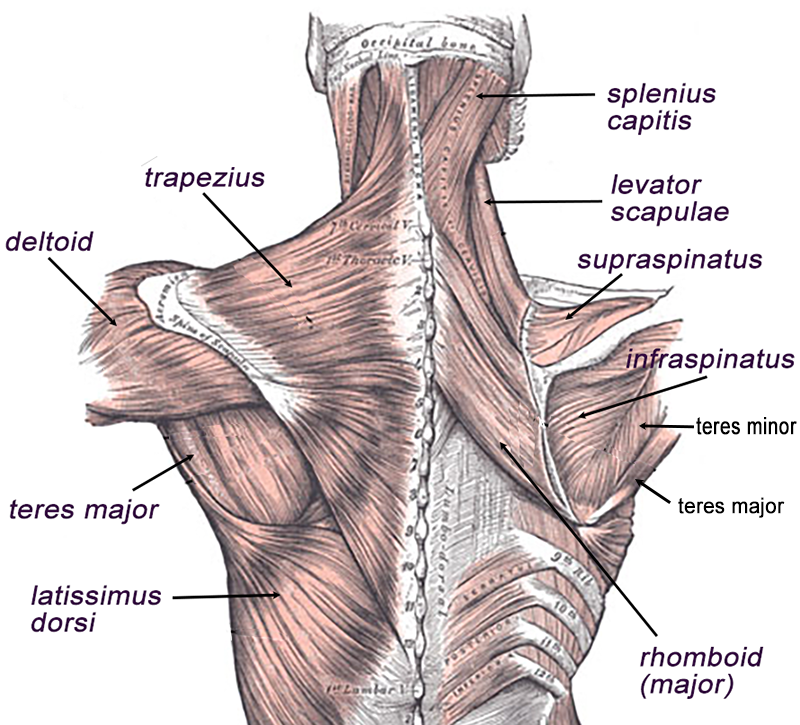 The way the thoracic spine is structured means that it allows for large degrees of rotational movement. 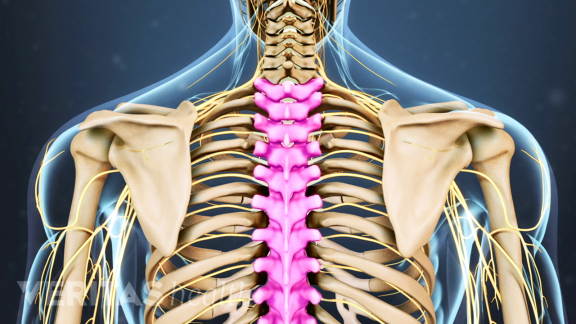 The thoracic spine is home to a dense network of muscles that are responsible for maintaining posture as well as performing dynamic shoulder and spinal movements. The vast majority of us will spend a large portion of the day sitting, either at work, school, on transport, playing video games etc. Some people will sit on a bus/train for an hour before work, then sit at work for 8 hours, then back on the bus or train for another hour to then sit at home for dinner and relaxing on the couch! That’s a remarkable amount of time spent in a seated posture. Unfortunately, these postures can influence poor thoracic mobility if we don’t spend enough time stretching or sit with poor posture. Surrounding muscles and connective tissue shorten and become tense. Soft tissue adhesions and fibrotic changes occur around the joints which then limits movement. Movement dysfunction and immobility in the thoracic spine can lead to painful conditions locally in this area but also can be a common source of issues in other areas of the body. Dysfunctional movements of the thoracic spine can lead to shoulder, neck (cervical), low back (lumbar) pain and injury as well as other upper limb and lower limb regions. Dysfunction in one area of the body has been linked with pain and dysfunction in other areas of the body. We call this regional interdependence – the cause of your pain may not always be in the same region of your pain quite often it is caused by dysfunction in other areas of the body. Our body has an alternating pattern of stable and mobile joints all working together to create complex and dynamic movements. 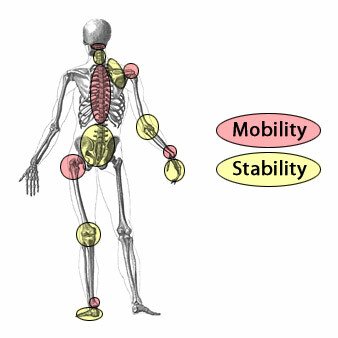 Stable joints tend to have one primary plane of movement whereas mobile joints have multiple planes of movement. What is often the case with injury is that this system flips on its head. Looking at the cervical spine (neck) as an example, the mid-lower cervical spine is meant to be a stable joint, however, due to limited thoracic mobility it needs to help contribute movement to be functional. This section of the cervical spine ultimately sacrifices its primary function in stability for mobility. The abnormal amount of motion and lack of stability can lead to increased mechanical stress on the structures of the cervical spine cause pain and injury. This same process can occur in other areas of the body too! One quick example of how the thoracic spine influences movement of other areas is to stand tall and reach your arms above your head. You should be able to bring your hands together with straight arms above your head. Now slouch forward and try to raise your arms above your head in the same way….its harder isn’t it?! The reason why it becomes harder is because the change in the thoracic curve has changed the positioning of the shoulders into a biomechanically disadvantaged position. For the shoulder to achieve optimal movement it needs a mobile and correctly positioned thoracic spine paired with it! We naturally create movement elsewhere to compensate for this lack of movement. When elevating the arms like this we tend to hyperextend in the low back to compensate. This in turn creates undue stress on the lumbar spine and can therefore be a source of pain and injury. Let’s put pain and injury aside for a second and look at how this concept influences performance. If you’re a golfer and looking to increase the distance of your driving. Getting stronger and hitting the ball harder isn’t going to necessarily make the ball go further. Technique, timing and mobility is going to allow you to hit the ball further and cleaner. To increase your back swing one major component amongst others is having sufficient thoracic rotation. Imagine trying to swing a club with a life jacket on. Its going to restrict and limit how much movement you have not just in your spine but shoulders too. Enhancing mobility in the thoracic spine allows for more rotation in the back swing as well as giving the shoulders, lumbar spine and hips more freedom to move too! Greater mobility allows for the muscles to work more efficiently at generating force as well as using less energy in the process. It may not just be the distance of the shot that is affected. It could also be the reason behind the slice or hook?? Developing an understanding of your movement dysfunctions can help improve your performance and take your game to the next level. At Impulse Chiropractic, we can help reveal your key movement dysfunctions that may be the root of your pain and injury by taking you through specific functional movement assessments. An individualised treatment and rehabilitation plan is then applied based on these findings. To help improve your thoracic mobility check out the video in the link below! For some tips to help improve your thoracic mobility check out the video below!